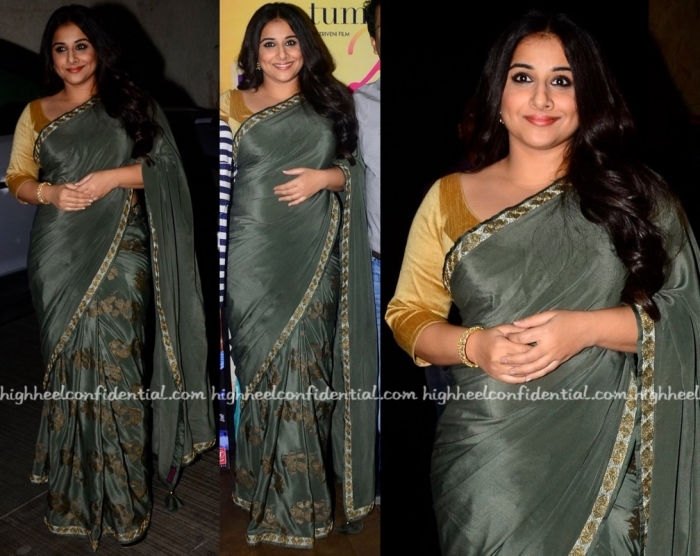 For two recent appearances of hers, Vidya picked green-toned saris to wear. For the screening, it was an olive Pinnacle sari. 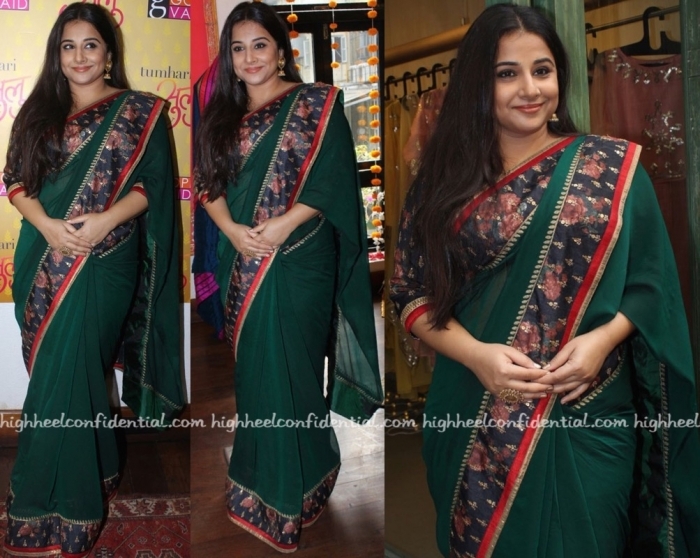 And for a collection launch, she picked a dark-green Gopi Vaid sari. Wearing her hair to the side, she rounded out both looks with signature jewelry. 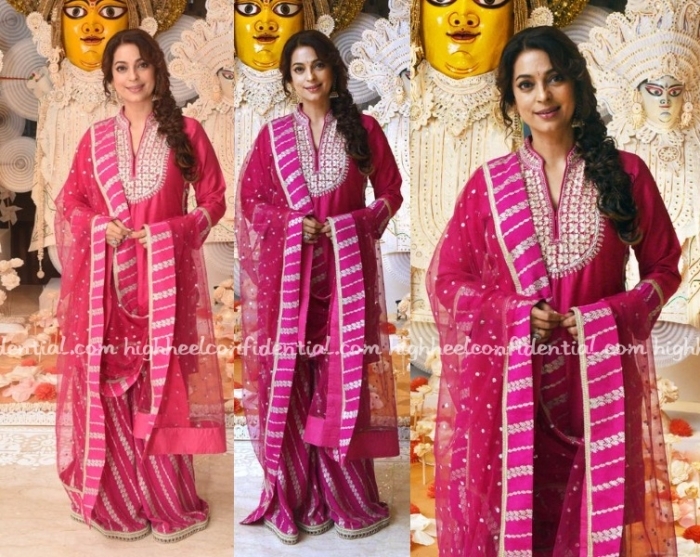 Of the two, it’s the look in Gopi Vaid that has my vote. The color just worked better on her.